Need more information about booking Property 3974376 ? 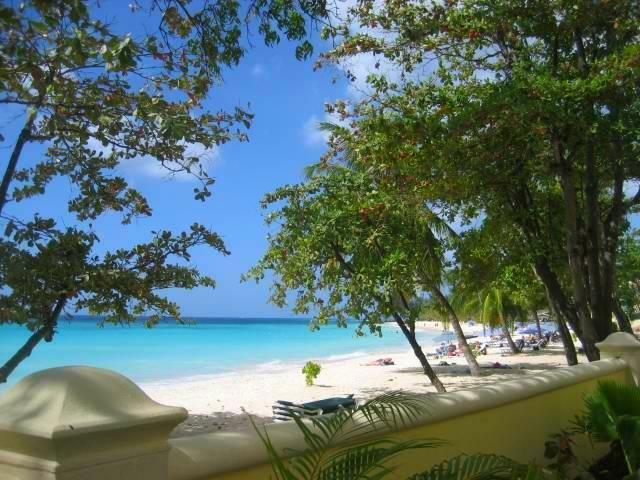 Luxuriously furnished three bedroom three bathroom fully self catering apartment directly on Dover Beach in Barbados has direct ocean views, beachfront pool, gardens and a gym. Minutes walk from St. Lawrence Gap which has many choices for dining, shopping, entertainment and more. Designed by famed architect Ian Morrison and fitted and furnished by interior designer. Incredible beachfront comfort is offered in this conveniently located and highly rated south coast property. This condo can also be rented as a two bedroom - please enquire for rates and availability! Response from the owner Thank you very much!! It was our pleasure to have you as our guests and the ASK team wishes to express its sincere appreciation for your grace and patience as we sought to work through the television concern with the unit Property Manager and owner. We work as a team to ensure that we maintain the standards of service excellence that our clients have come to expect of us and are delighted when you reward our efforts with positive reviews, constructive feedback, and repeat visits. See you soon! Our 3rd time at Sapphire Beach Barbados Condos - Unit #305. I made the request for this unit last year and Bonita was helpful in securing it for us. She arranged for Cameron from Cameron Taxi Service to meet us at the airport. Again, wonderful service. I had dropped a small billfold in his taxi which I was unaware it was missing until we went to dinner. While I was out Cameron called and said his son had found it while cleaning the taxi. Because of his honesty I would highly recommend his service. Jameela, the concierge was prompt in greeting us, was very pleasant and knowledgeable. We will definitely return to #305 hopefully next year. Response from the owner Hello Lynchie716, Thank you very much for your public acknowledgment of Cameron's honesty and hospitality. He couldn't stop smiling when we offered our congratulations and sent him your review. We treasure our repeat guests - you become family and your recommendations of our ASK signature service to others is invaluable to us as we continue to work at service excellence each and every time! The owners of Sapphire 305 also asked that we express our sincere thanks..your amazing Sapphire oceanfront view is secure for next year as is your ride with Cameron! I was in unit 111 for four days in March 2014 after spending a week @ Turtle Beach. I would go back to Sapphire in a second. Great building, great condo unit and terrific location. Thanks very much. Response from the owner Hello Sean, Our pleasure! You've echoed what our other guests have said about Sapphire Beach - who could ask for more? At ASK, our mission to have a check mark next to the majority of items on a traveler's checklist - Sapphire does not disappoint! Might take a little longer than a second but you are welcome ANYTIME! Traveling with seniors can be challenging and this spot is perfect!! Restaurants, groceries and beach all within walking distance. We spent many meals, card games and sunsets on the balcony. This condo is great for a large family or couples wanting to relax and enjoy this gorgeous island. Bonnie (ask Barbados), Ryan (Sapphire) and andrilla (housekeeping) were very efficient in addressing all of our needs and questions. Planning to return next year! Response from the owner Hello Gullakesummergal, The ASK team is delighted that you enjoyed your stay with us and chose to share your experience. It was our pleasure to have you as our guests. Sapphire allows for a true Bajan style visit - everyone is welcome and everyone leaves happy. Thank you!! I have nothing but excellent things to say about Sapphire Beach Condos. I'm almost reluctant to say them all because then everyone will want to stay here :) This was our second time staying at Sapphire Beach Condos and again we were impressed by the wonderful upkeep of the condos and facilities. We have been coming to Barbados for over 20 years and have family who live on the island. The location of Sapphire Beach Condos in the heart of St. Lawrence Gap doesn't get any better. The complex is located at the end of the Gap so you don't hear the loud nightlife just down the road but are still within a short walking distance to the restaurants and bars. There is a cricket field across the street so if you are sleeping in the room facing the road and have your window open then you might hear some noise. But all of the units have aC so you can choose open or closed windows. The master bedrooms are breathtaking and it doesn't get any better then falling asleep to the sound of crashing waves. There are always lounge chairs available around the pool and you just have to go through the gate to get to arguably the best beach in Barbados. Beach chairs can be rented by the day or by the week from the local merchants. You can rent watersport equipment on the beach and there are little beach bars with fishcakes and rum punch smoothies. Sapphire Beach Condos is a prefect place to stay whether you're a family with young children or a retiree. The beach has very calm waves with very little undertow or riptide compared to nearby Maxwell beach. It is a gradual sandy walk in to the water safe for anyone. There are elevators in the complex making it ideal for anyone with mobility issues. The staff at the condos are nothing but friendly and helpful and go above and beyond. There was a welcome basket of food and goodies and they even left a little gift for my Grandma's birthday. The security is excellent and the locked gates ensure that only guests are within the condo complex. Response from the owner Hello Shauna, Your review is right on the mark - it aptly describes what Sapphire has to offer the discerning traveler - sophistication, safety, value, convenience and excellent amenities, all on one of the best beaches on the island! Delighted that you chose to stay with us again and took the time to share your experience with ASK and ASKtheConcierge. See you soon! Efficient meet and greet service, and excellent servicing of apartment during stay. The condo was very clean, luxurious, spacious, well laid out and yards from beautiful Dover beach. The equipment and facilities were excellent, everything you could possibly need for a self catering stay. The beds were lovely and comfortable, view from master bedroom to die for, superb external terrace with comfortable furniture. Powerful showers and endless hot water, loads of bath and beach towels. Kitchen and laundry very well equipped. Lovely external garden area and pools. The location was superb, just a few minutes walk to aTM, stores, and many bars and restaurants. Easy walk to main bus route and taxis always close by so it is not necessary to hire a car. Response from the owner Thank you very much for your wonderful recommendation of our staff, the condo and the entire property. We hope to see you again soon! You just can't beat this property. It's location is great, right on one of the nicest beaches on the island, with excellent restaurants, bars, nightclubs, shopping nearby, and easy access to anywhere on the island. The property is well maintained and the service level is excellent. The people involved with the property are super friendly and helpful. Bottom line is, we love Barbados and its people so much, and thought this property was just perfect, so we bought a unit! Response from the owner Hello Lneilson Your review of Sapphire Beach says it all! Thank you! The ASK team wishes you many years of enjoyment at Sapphire Beach and Barbados as an owner of a piece of the rock. Congratulations! Bonnie and her team provided us with exceptional service and delivered on every detail discussed. The apartment was "quality" furnished and the beach was superb. The welcome wine, beer and basket of fruits etc provided were really appreciated. We cannot say enough about the wonderful vacation we had at your property and we will be back and we will pass on our recommendations to our friends looking for the best. Response from the owner Thank you very much RPerrin. It was certainly our pleasure to have you as our guests. You've confirmed our statement that Sapphire Beach is perfect for family vacations and reunions and our Concierge service, ATC, is available to cater to your needs. Come again soon! Having been to Barbados several times in the past we wanted a "spectacular" vacation to celebrate a big wedding anniversary and after trawling through lots of web sites and reviews we chose Sapphire Beach. One of the reasons was that we were able to have a condo on the ground and 1st floor - unit # 106 - which gave us direct access to the pool area and wonderful views over the beach and the sea and it was a fantastic choice and almost certainly we will return to the same unit in the future. Within a secure gated area but literally less than 1 minute from the beach and lots of good restaurants within easy walking distance meant that we didn't need a rental car so had a lot more to spend on good food and wine. The condo was very well equipped and maintained and as we rented directly from the owners we think we got a good deal. 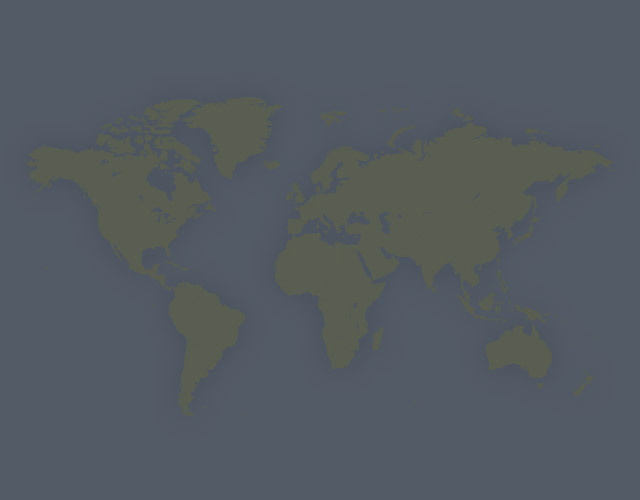 Not sure why but the unit seems to be named "Amikka" and if you Google "Amikka Barbados" it usually shows up in the first few search results. The weather was great, we thoroughly enjoyed the whole Island and there are certainly lots of 4 / 5 star eating establishments to please most tastes - we will definitely be back probably next year. Response from the owner Thank you TurnerS, Sapphire 106 is one of the more popular duplex units in our portfolio. The owners have bent over backwards to ensure that almost everything you could wish for is in the unit! It has a prime location on the property, easy access to the pool and main entrance from your front door and from the ground floor patio! The queen sized sofa bed is a plus as it allows you to comfortably accommodate additional guests and the rates are geared towards you having extra "beer money". Delighted you chose to book Sapphire and this great unit - thanks! A great place for families right on the beach and within safe walking distance to restaurants, bank machines, shopping, small market and surf school! The condo was clean, quiet and spacious with a great view of the palms, beach and pools. If they only served drinks by the pool it would have been perfect! Response from the owner Hi TorontoSurfDad ...glad you enjoyed your Sapphire Beach condo..we'll work on the drinks for your next visit. Thanks again for choosing ASK! You can get in touch with Ayub (the owner) through the contact form on this page. Send Ayub (the owner) an email through the contact form on this page. Alternatively, if there’s a phone number on this page, you can call them. How do I contact Ayub (the owner)? You'll need to send Ayub (the owner) an inquiry to book - the owner will let you know how to pay. If they accept online booking they'll send you a quote and info on how to pay. If you pay through our website you’ll be covered by Payment Protection. Or you can send Ayub (the owner) an inquiry through the contact form to request a quote. Ayub (the owner) will email you the total cost for your dates and how to pay. Send Ayub (the owner) an inquiry through the contact form requesting a quote for your dates. Ayub (the owner) will email you the total cost for your dates and how to pay. Ayub (the owner) of this property is responsible for taking and refunding your damage deposit. The damage deposit terms should be agreed before booking and outlined in the booking contract, if Ayub (the owner) supplies one. Please refer to these details or contact Ayub (the owner) directly if you have any questions. You'll need to contact Ayub (the owner) to cancel. They should have provided their contact details when you made your booking - otherwise, email them through the contact form. You'll need to contact Ayub (the owner) to edit your booking. They should have provided their contact details when you made your booking - otherwise, email them through the contact form.